From the time I heard of Sausage Balls I knew I wanted to make them. I had one problem though, I never had Bisquick in my house. I just never buy it or think to buy it. I do keep self rising flour in the house though and I wondered if I could somehow use that. 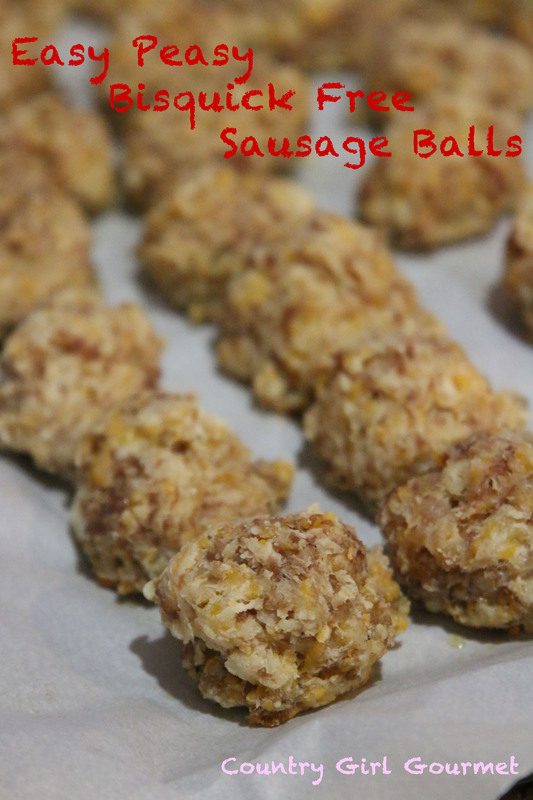 After a bit of trial and error I created some Easy Peasy Bisquick Free Sausage Balls and my family was in love. These little balls of cheese and sausage heaven are the perfect addition to your brunch and make awesome appetizers for game day parties. Try them out for yourself! One bite and you will fall in love with them yourself. 2.In a large bowl mix sausage, cream cheese, flour and shredded cheese. 3.Once well combined form into walnut size balls. 4.Place sausage balls on a parchment lined baking sheet. 5.Bake in a preheated oven for 20 minutes or until the sausage balls are browned and no longer pink inside.